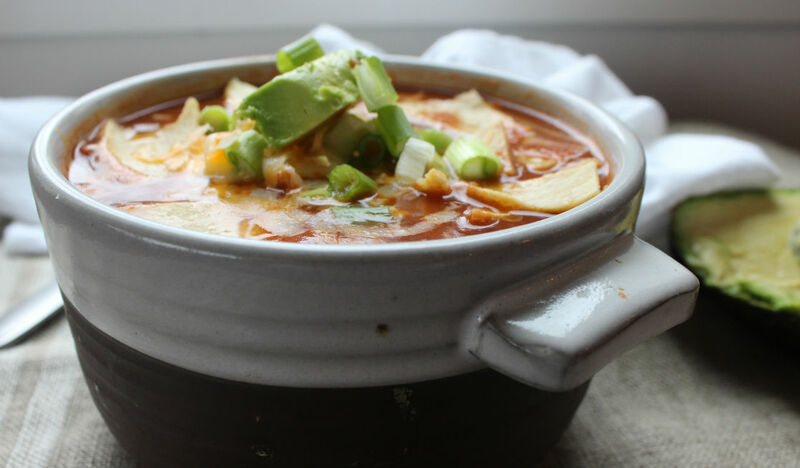 This simple yet hearty chicken tortilla soup was the perfect meal on Sunday night, after what seemed like a long and dreary weekend. I have been wanting to share this recipe with you since early January but it didn’t seem right. Spring arrived in late January and we have seen above normal temperatures most of the winter. The cherry blossoms are in full swing and for the most part we are enjoying many sunny days at the park. 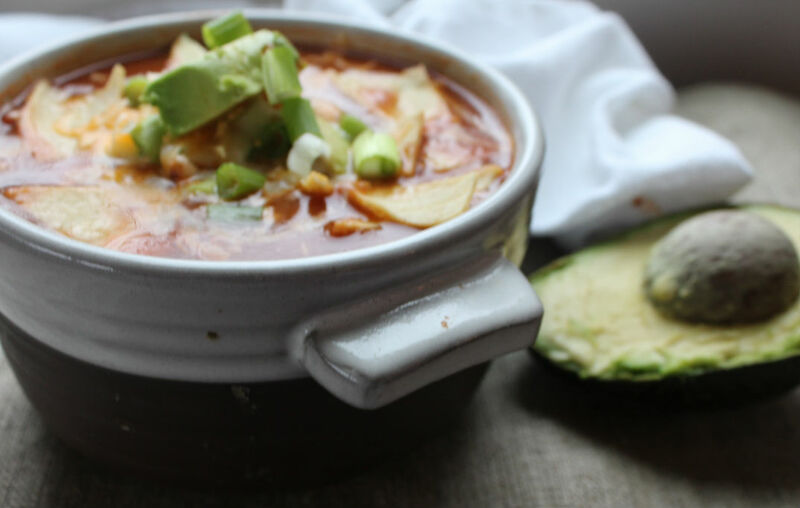 I made this soup for my mother in law who loves tortilla soup and just got back from Mexico. I thought a little taste of Mexico would help her get through another snowy weekend on the East Coast. Warmer days are on there way Gerry, I promise. I love the versatility of this soup. If you like it spicy simple add an extra jalepeno with the seeds and extra chill powder. For a vegetarian version simply leave out the chicken and add an extra can of black beans for protein and extra fibre. The perfect thing about soups is they taste better the next day once the flavours have set in. 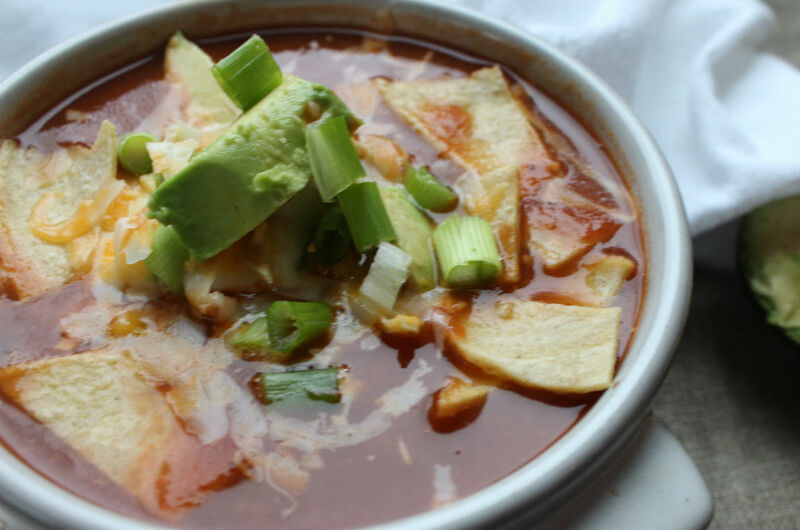 The toppings really take this soup to the next level, I added avocado, cheese, green onions, and corn tortillas. My husband likes his spicy and adds hot sauce. I made extra and packed this for work tomorrow. In a large pot ,heat olive oil over medium to high heat. Add onions, garlic, peppers,corn, and remaining spice. cook for approximately 5 minutes. Turn down heat. Add shredded chicken and cook for a couple of minutes. Add tomatoes, black beans, tomato paste, stock, and water. Bring to boil and simmer for 45 minutes. Check soup for flavour, add more spice if needed. simmer for 15 minutes. 3 Responses to Chicken Tortilla Soup! Thanks dear daughter in law, will make this next week. Have a great week-end, as we are also. gerry.